Digital painting photograph of a sunset evening, Birds flying by overhead in the lovely clouds, palm tree silhouettes in the foreground and a hill top view in the background. "Jesus uses the illustration of nature — the birds and the flowers — to show how God provides for them in the natural order of his creation. How much more can we, as His children, rely upon God's providential care? God is utterly reliable." 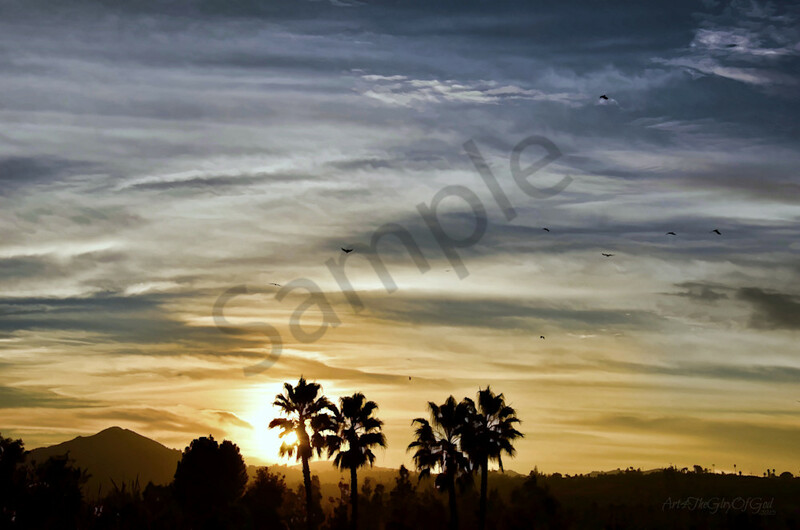 Digital painting photograph of a sunset evening with birds fly by overhead in lovely clouds, palm tree silhouettes in the foreground and a hill top view in the background.